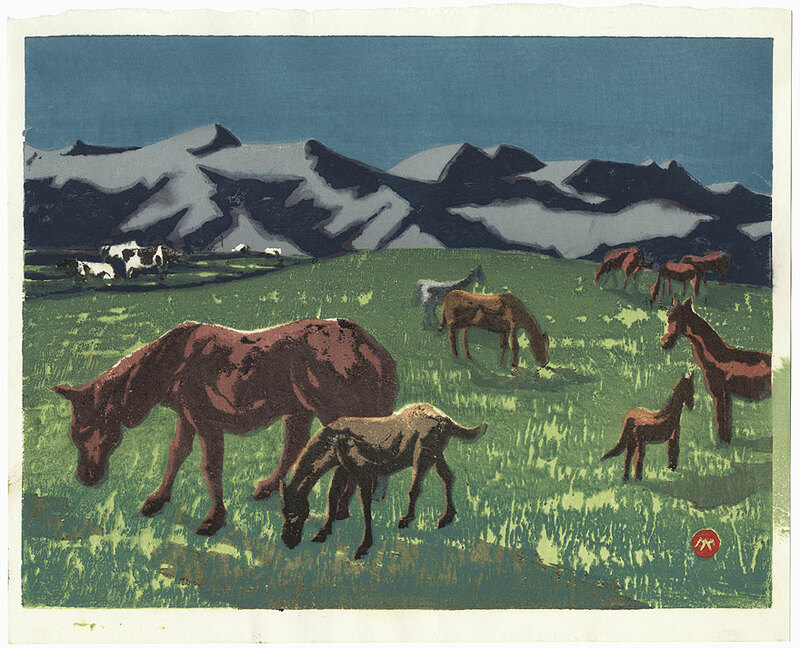 Yamaguchi Susumu - Born in Nagano Prefecture, Yamaguchi Susumu taught himself woodblock printing as a boy before studying Western-style painting in Tokyo. From 1920, he exhibited in sosaku hanga or creative prints shows and magazines. 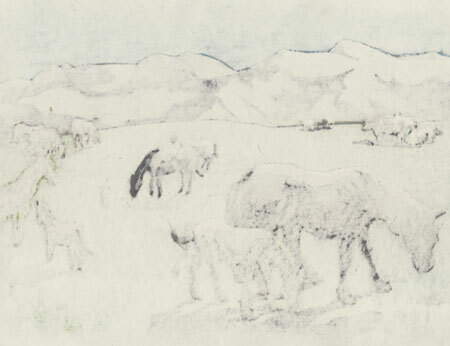 The mountains of his Nagano home were his favorite subject. 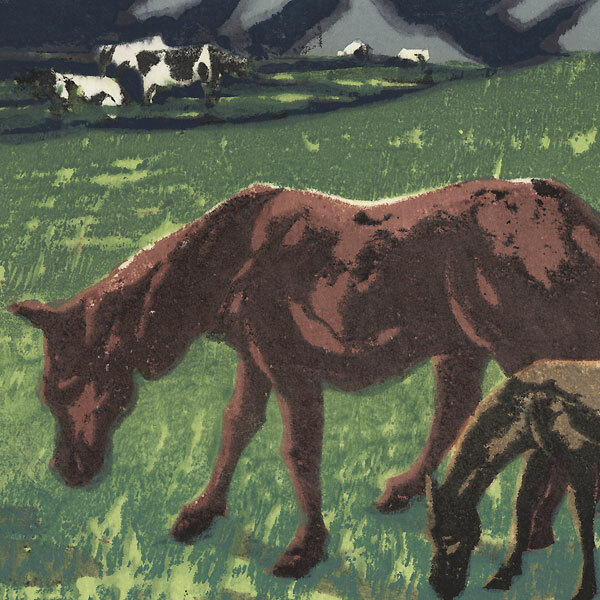 In his prints, he achieved dense, rich colors by repeated printings on thick paper. His works are in museum collections across the world, including the British Museum and the Museum of Modern Art, New York. Condition - This print with excellent color and detail as shown. Pigment in margin, ink marks. Please see photos for details.